In a little over a decade coworking has grown from being a scrappy officing solution for freelancers and startups into a multibillion dollar industry with thousands of operators around the world. 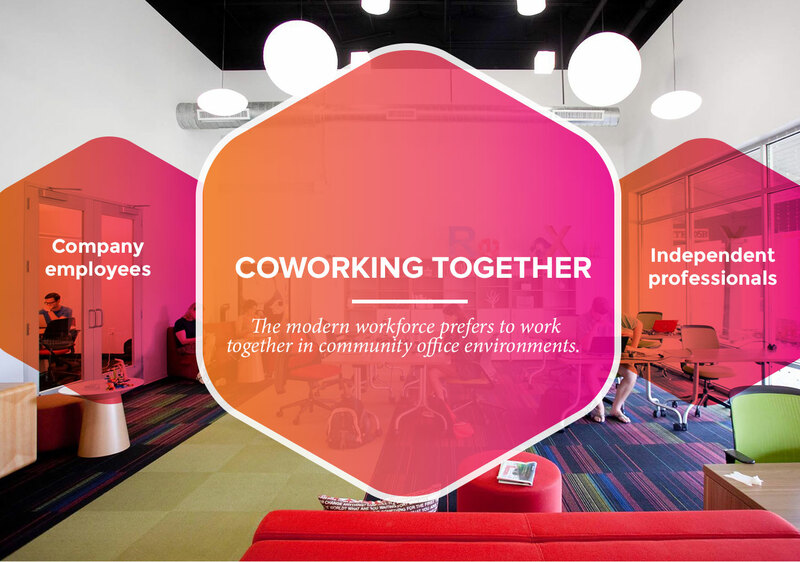 Defined as ‘a multi-company campus for companies of all sizes,’ coworking has established itself as a viable workplace arrangement for the sharing economy. Industry unicorn, WeWork, has helped define the market in much the same way that Starbucks helped define the coffeehouse market. It now operates over 250 locations in over 70 cities around the world, and is close to generating $1B in annual revenue. Each time WeWork secures another round of funding (up to over $5B), its valuation soars to yet new heights (now at $35B), and animated observers argue over the merits of its business model and its valuation. The news and excitement surrounding WeWork’s phenomenal growth, though, obscures more fundamental economic and organizational shifts occurring around the coworking ecosystem. As coworking and shared workspace providers become increasingly focused on large, enterprise customers, the industry’s knock-on effect is growing. Indeed, the rapid growth of the industry as a whole is due in large part to corporate adoption of coworking, which now accounts, for example, for around 25% of WeWork’s members worldwide. WeWork also claims that 22% of Fortune 500 companies have members working at their spaces. The number of enterprise-company members grew by 90% in July of 2018 compared with July of of last year. Having ‘crossed the chasm’ from trend to mainstream adoption, this article suggests that it is time for firms to take coworking seriously, as an industry, and to develop a clear strategy for how to embrace it and leverage it as an opportunity to transform their companies. The challenge falls initially on corporate real estate (CRE) and human resource (HR) professionals, but the challenge and opportunity should be tackled across the firm. Two disruptions come into play as more companies deploy employees to work in places such as WeWork, Industrious, and Spaces (Regus’ new coworking brand). The first and most obvious disruption is in the commercial office market (‘The Economics of Coworking- Winners and Losers’). As a real estate business (a rent arbitrage model of subletting leased space), coworking’s most significant impact has been within the corporate real estate sector. Through its success and growth, coworking is, at least indirectly, helping to accelerate the shrinking footprint of knowledge workers (in terms of sq ft per worker), while in doing so reducing both the demand for conventional office space and the cost per workstation and per employee per year. This creates pressures and opportunities, depending on where in the value chain you are situated. The second yet emergent disruption lies within the domain of HR- talent attraction and retention, culture and culture management, engagement management, and the employment brand generally (‘The Human Side of Coworking’). As Gen Y and Gen Z knowledge workers enter the workforce in larger numbers, offering greater choice and flexibility to new hires with respect to how they conduct their work is increasingly becoming a necessary recruiting and management tool. Attracting and retaining young talent, though, is just part of a larger managerial challenge. Coworking presents challenges and opportunities for managing company culture, as well as new contexts for exploring cross-company and cross industry collaboration and innovation that have yet to be systematically explored in the coworking context. (See HBR- Managing Multi-Party Innovation, Nov. 2016). I conclude the article with a framework designed to help companies engage coworking strategically, rather than reactively. In many respects we are still in the early days of coworking’s maturity as both an industry and as a new work location for corporate employees. Firms that develop a clear coworking strategy can move beyond the hype of coworking and leverage it to add value in new and innovative ways. Over the past three years the industry has grown largely due to increasing rates of corporate adoption (see Table 1). In 2010, for example, 80% of all new members of coworking spaces were either freelancers or members of startups or small businesses. By 2017, only 39% of members were freelancers and startup employees. The changing constitution of coworking members doesn’t necessarily indicate a decline in the more ‘traditional’ type of member; rather, it underscores the inclusion of corporate users and the overall growth of the market. When WeWork opened its first location in Vancouver in October 2017, it had little trouble sub-leasing the new space. In one lease, Amazon took up 80% of the 76,000 sq ft floor plate, sharing the rest of the building with a mix of other companies. In April of 2017, IBM inked a similar deal with WeWork when it took possession of 144,000 sq ft at 88 University Place in Manhattan, becoming the sole ‘member’ of this WeWork location. And in April of 2018 Facebook signed the largest single lease with WeWork, for around 450,000 sq ft in Mt View, California. WeWork has made visible what is known as the coworking premium– the difference between the rent paid for a space and the revenue collected from subleasing the space to multiple tenants. A 2016 Business Week article pointed out that in one of WeWork’s locations in Manhattan, where they had negotiated a lease rate of $45/ sq ft, they were earning $139/ sq ft, a 180% premium. As real estate developers, asset owners, and brokers saw enough examples of this, something of a rent per sq ft gold rush ensued. Skeptics, though, are quick to point out that WeWork’s cost of expansion and burn rate cancel out the premium and that the business model is not sustainable. My focus in this section is not on WeWork’s finances as much as it is on why coworking (in general) is increasingly attractive to corporate tenants and how this demand is disrupting the value chain of the broader office market. According to research by CBRE, 44% of companies they surveyed currently use some sort of ‘flexible open platform office, and that 65% of companies in their study “expect to use coworking as part of their office portfolio by 2020.” Research by JLL suggests that by 2030 as much as 30% of all office space will be some form of flexible office. Today, less than 5% of the overall office market is made up of flexible workspace and coworking combined. * Predictions such as JLL’s, which anticipate the category growing from <5% to 30% of the office market in the next twelve years, underscore the scale of change that the industry is facing. Where is this demand coming from? On the surface, the cost per sq ft for private offices in coworking spaces might seem prohibitive. For example, a one-person office in a major market such as San Francisco or New York City might rent for $800/month. At around 45 sq ft per office, this is over $200/sq ft. If commercial office space in New York or San Francisco leases for $70-$80/sq ft, how can coworking be financially attractive? Framing the coworking challenge this way is an apples and oranges comparison. If one looks narrowly at the cost per sq ft of an office in a coworking business, and then compares that with the per sq ft lease rate of a company’s HQ, for example, the difference is indeed staggering. Such an apples/oranges comparison, though, does not factor in critical variables and changes in the way officing is evolving in the sharing economy. Calculated per employee, coworking is cheaper than traditional officing. Historically, building owners and brokers have leased companies much more square footage than they typically need, or will likely ever need. Office space utilization rates hover between 40% and 60% at best,* which means that in the traditional model, roughly half of all workstations sit empty at any given time. The average square feet per worker has been in steady decline over the past fifteen years, falling from around 300 sq ft/worker to around 150 sq ft/ worker today in the most flexible office arrangements. This was initially driven by the ‘sardine effect’ achieved by the open plan office, which is generally considered today to be a failure. It is being driven further down by the growth of flexible and shared workspace businesses. These are only the cost calculations and do not include any of the social or productivity benefits that many coworking advocates claim are associated with coworking (see HBR, ‘Why People Thrive in Coworking Spaces,’ Sept. 2015). Here I am more interested in what those cost advantages (for tenant companies) mean for asset owners and commercial real estate brokers.. It is no secret that brokers’ business model is premised on locking corporate tenants into long-term leases (10-15 years) on large floor plates. The traditional commission structure necessitates this. 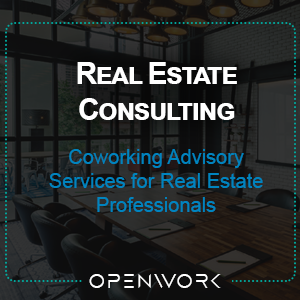 However, now that there are clear and compelling alternatives- ABW inside firms and 3rd party coworking off campus- companies are re-calibrating their real estate portfolios and strategies. One of the obvious advantages of coworking for companies, in addition to the cost savings, is the flexibility. If a firm needs a place for a team or even a department, for a period of only three to six months, they can contact their local coworking operator and (depending on availability) have that team in place and ‘coworking’ the following week. In the traditional leasing model, it would be difficult to get a showing of a possible new office location within a week, and the move-in date might be a year out. With move-in ready offices, firms can begin to re-think and rationalize their own real estate holdings, saving money in the process. A recent conversation we had with a large firm considering coworking indicated that they were looking to reduce their real estate costs by around $500M per year by shifting to a flexible, modular officing program. For firms adopting coworking as a part of their workplace strategy, this increasingly seems like an attractive solution. For real estate professionals (asset owners, developers, brokers), however, coworking and shared workspace operators pose an existential threat. As technology enabled mobility combines with ever-shrinking workstation footprints, which leads to much higher rates of utilization, traditional real estate players are forced to adapt quickly. Many of the larger CRE firms- CBRE, Colliers, Cushman Wakefield, JLL, Avison Young- have very much received the message and are in a decade long mode of adaptation. The primary challenge will be in adjusting the financing mechanisms that underwrite leases that are effectively sublease arrangements. 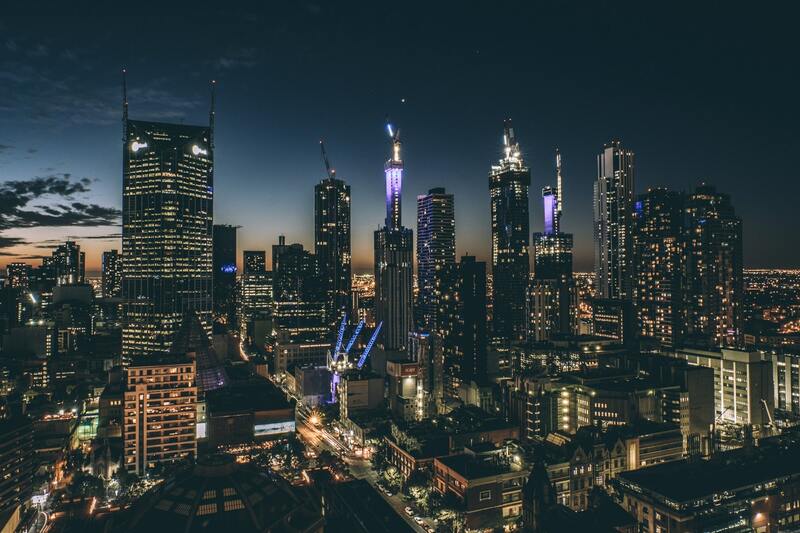 As financial institutions become more comfortable with this, again in large part driven by the example set by WeWork, more institutional lenders and equity investors will be in a position to boost the industry’s growth even further. Asset owners and developers who don’t make this adjustment will lose out on opportunities as more of their corporate tenants seek great flexibility and modularity in how they lease office products. The other disruption of coworking is currently less obvious than its impact on the real estate industry. In many ways this is a silent, though perhaps equally important in the long-term, knock-on effect. In its early iterations (2005-2010), coworking was more about providing social and business support for independent knowledge workers and startups than it was a business opportunity, per se. The real estate transformation that followed was both surprising and unintentional. As taken-for-granted as the social dimensions of coworking were for early adopters relatively little thought has yet to go into what types of behaviors and communication styles are most aligned with multi-company coworking, what the leadership challenges are, and, importantly, what the cultural impact of having company employees ‘coworking’ with people from other companies and industries will be going forward. Will this erode or enhance the core culture of the company? Will the working culture at places such as WeWork spill over into the cultures of its member companies? Or, possibly, will the different member companies who cowork together create new types of workplace cultures over time? These questions are relevant to many firms as they reconsider their various flex-work programs and options. In 2013 former Yahoo! CEO Marissa Mayer announced that Yahoo! employees could no longer work from home, that they would need to report to the office to work around their colleagues. Yahoo’s flagging performance, it was thought, would be improved if its employees could work co-present and collaborate together more seamlessly. The idea behind this was that with employees working physically together a greater sense of cultural unity could be nourished. Similarly, in 2017, IBM announced that their far flung workforce would also be required to report to a local office and be tethered to a physical workplace. A growing consensus is that digital tools can facilitate collaboration significantly, but that a strong sense of culture does require some amount of co-presence and coworking, even if not on a daily basis. As companies avail themselves of more flexible and cost effective workplace strategies, the physical places where company colleagues work together and build culture together are changing too. The data on worker engagement and satisfaction are instructive here. According to Gallup research, levels of employee engagement in 2018 in US firms sits at around 30%. By contrast, research conducted by Emergent Research indicates that engagement within coworking spaces sits at around 84%. Larger scale longitudinal research has yet to be bear out these differences in statistically reliable ways, but on the surface the comparison is interesting. Why do knowledge workers seem to prefer working in coworking spaces than at their companies’ offices? Is it because they are away from their bosses? Is it because of the proximity to different types people from different companies and industries? Another challenging aspect of corporate coworking adoption is security. How can so many people from different companies cowork without there being IP and other types of trade secret theft? This is a critically important issue, and a good reason why some companies (given the nature of their industries) will never be candidates for coworking. At the same time, employee proximity to other knowledge workers- corporate, freelancer, startup- actually presents new opportunities for strategic collaboration and innovation. To date, most ‘evidence’ of cross-company collaboration and innovation in coworking spaces has been anecdotal, but there is clearly potential for this to be more formal and systematic. For companies that have built in-firm coworking/innovation lab environments, such as Bosch, Verizon, IBM, and Jaguar Land Rover, the fruits of such collaboration are more tangible. Over time, it would seem that companies will want to turn the challenge of co-presence and security into a collaboration opportunity. For young knowledge workers who make up Gen’s Y & Z, the hyper social nature of coworking environments is appealing. More so than their baby boomer predecessors, they are comfortable with the ‘sharing of resources’ aspect of the sharing economy, whether that is in ride sharing, house sharing, or office sharing. Coworking is a natural extension for them. It is, simply, the logical workplace context and culture for the sharing economy. Going forward, as the war for talent heats up, more firms are realizing that in order to create employment value propositions (EVPs) capable of attracting and retaining top talent, workplaces need to be extensions of employees’ social lives. Asking young knowledge workers to bracket off their social lives when they go to work is a tough ask. EVPs that align with the cultural values of the sharing economy will be stronger employment brands in the near future. The coworking industry’s impact within the real estate industry and within its tenant organizations is still somewhat nascent. Coworking is that new a phenomenon. 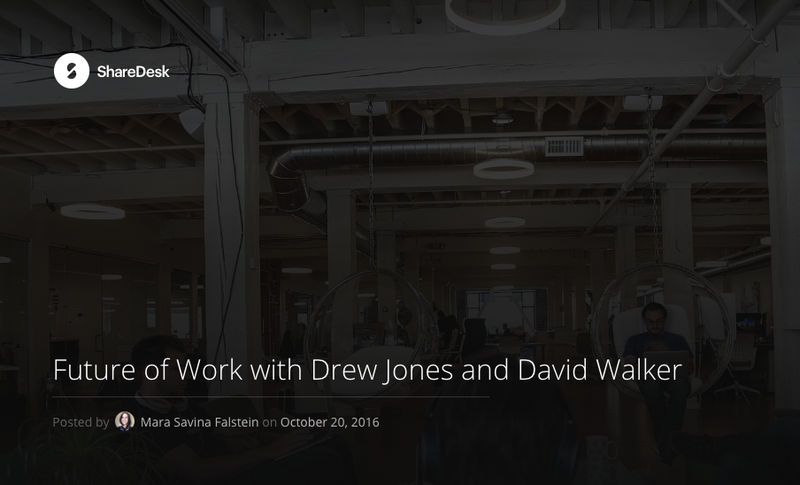 However, it is clear that coworking has turned out to be more than just a fad, as many skeptics have argued. The challenge, now, for both CRE and HR professionals inside companies that cowork, is how to adapt proactively in ways that enhance the strategic objectives of their firms. The following framework addresses three broad areas- real estate, human resource management, innovation- that can help firms navigate the coworking opportunity. 1. Rethink the logic and inertia of the traditional office leasing model. While many individuals in the commercial brokerage industry ‘get it’ and see the inevitable changes coming, their business model is more or less at odds with the objectives of large firms looking for more flexible, short-term, and social officing solutions. It is interesting to note that WeWork is developing its own brokerage unit as a way to cut the third party brokerage role out of its business model. * This should ring alarm bells for the brokerage industry. 2. Collect qualitative as well as quantitative data regarding space utilization inside your workplace. Committing to a 3rd party coworking operator only makes sense if your current workplace is not working, economically and/or culturally. Many firms are rushing to use beacons, badges and other purely quantitative sources of utilization data collection, but it is also important to understand the ‘whys’ behind the behaviors. Such data can be collected through ethnographic interviews and employee journey mapping that give employees the chance to talk about the employee experience. 3. Better understand your workforce composition through self reporting surveys regarding workplace and workstyle preferences. A new generation of work style surveys (and passive data collection) helps companies understand how, when, and where individuals and teams work most effectively. Traditional batteries of psychometric assessments produce data that can be too abstract to be readily useful with respect to understanding precisely what types of knowledge workers make up your firm? Directly asking employees about workstyles and work preferences is a shortcut to getting a clearer picture of the composition of your workforce. 4. Use the data to drive personalization, autonomy, and choice at both the individual and team levels. Central to empowering employees and enhancing employee experience is granting them choice and flexibility in terms of where they work and how they work. Among baby boomers this was considered a perk. Among Gen Y and Gen Z knowledge workers this is fast becoming a hygiene factor. 5. 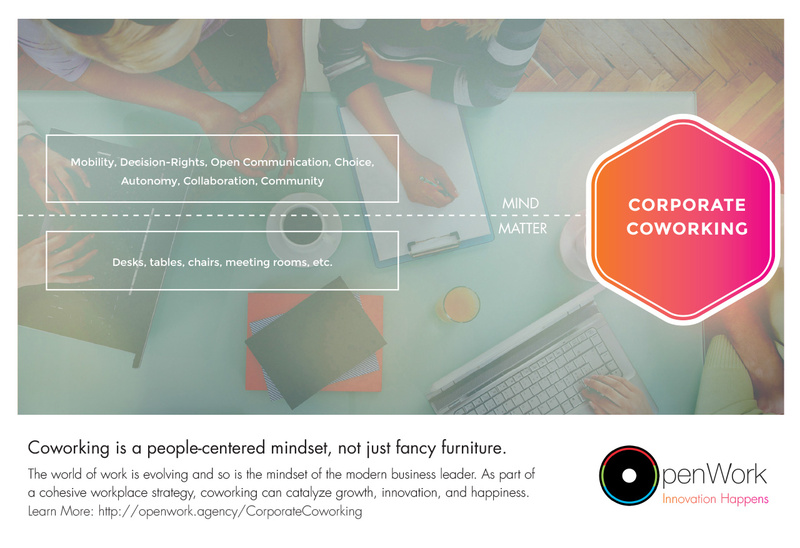 Take advantage of the coworking opportunity to build open organizations with open cultures. This is new territory and will not be attractive to some companies. However, interaction with employees from other industries and companies is perhaps one of the most exciting and latent potentialities of the corporate coworking opportunity. Currently there are no explicit protocols or platforms available to organizations to take advantage of cross-company connections, relationships and organizational experiments. 6. Define what extrapreneurship looks like for your firm. The coworking equivalent of intrapreneurship will be commercially viable innovation opportunities developed by employees from different companies. For companies that embrace the principles of the open organizational type,* this is perhaps the most strategic and growth oriented promise of coworking. For too long, CRE and HR have been viewed within corporate decision making as ‘support functions’ removed from the more serious business of managing strategy. Through empowering employees to collaborate with others to create new value, the potential for inexpensive, everyday collaboration and innovation is an untapped opportunity. For a variety of reasons- security and cultural dilution among them- it will make more sense for some firms to create their own coworking environments on their existing campuses. Some firms are already doing this. This is particularly attractive for companies that are stuck with underutilized real estate, yet want to enact some form of ‘spark space’ inside the company. This approach allows the majority of colleagues to cowork together frequently, and to possibly open up the workspace to outsiders such as suppliers, clients, distributors, consultants, etc. For many companies, coworking is still something of a novelty The idea of allowing your employees to spend their days working around strangers from other companies can seem a bit threatening. Yet, as Gen Y and Gen Z employees become more prominent in our organizations, particularly in the context of the current talent war, the sharing economy work arrangement of coworking is becoming an everyday feature of the workplace landscape that companies need to understand and prepare for. Coworking is here and growing as a new workplace for companies of all types and sizes, and the challenge is how firms can be adaptive and proactive rather than reactive. Perhaps coworking will be seen as just another place to locate a group of teams more cost effectively than can be done elsewhere. As purely a real estate solution, that makes sense. This is being firmly established within the real estate industry. However, as coworking continues to evolve and greater numbers of corporate employees are working everyday at places such as WeWork rather than at company HQ, other important people-related challenges and opportunities present themselves. As I have discussed here, developing a clear and future-oriented strategy for tackling these challenges can be a new source of competitive advantage for firms that take the lead in the coworking moment. Article published in Bloomberg BusinessWeek in 2016 before they dropped the name “BusinessWeek’ and went to a paid service and removed archived BusinessWeek articles. No longer accessible.